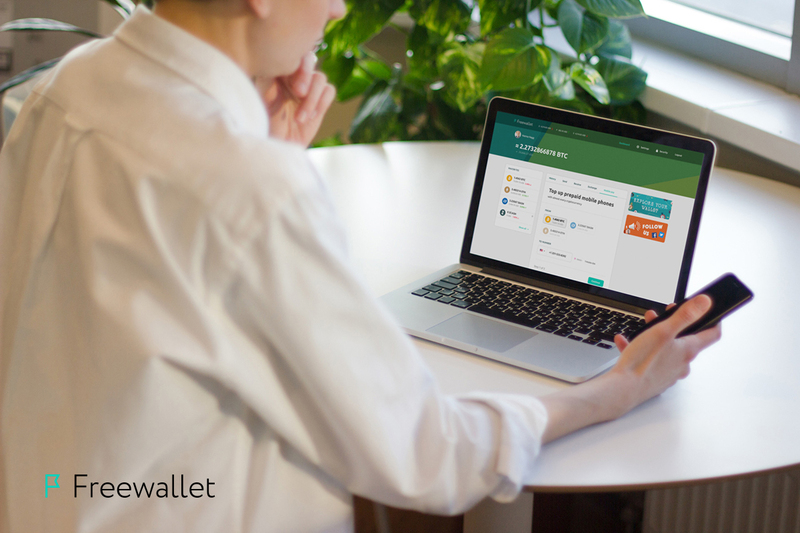 Freewallet is a digital currency wallet with a built-in exchange for web, iOS and Android devices. With Freewallet apps you can hold Bitcoin, Ethereum, Litecoin, Dogecoin, Monero, and 30+ other cryptocurrencies all in one place. Our goal from day one was to develop apps that allow users to familiarize themselves with popular cryptocurrencies, without delving into specific technical features and complex settings. That is one of the reasons why Freewallet has become one of the most popular crypto wallets in the world and was recently listed as the third biggest online wallet for Android. The Freewallet family includes Freewallet: Crypto Wallet (iOS, Android, and web version), 30+ wallets each tailored to their own coins, and Freewallet Lite (an HD-wallet on iOS and Android). Freewallet was the first company to release Bitcoin Cash ABC (BCHABC) and Bitcoin Gold (BTG) wallets for Android. Do not alter, stretch, condense, overlay, stylize, or otherwise skew the logo in any way.